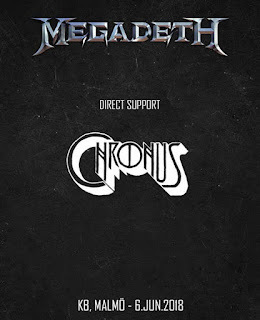 CHRONUS ANNOUNCES NEW ALBUM DETAILS AND NEW SHOWCASE! 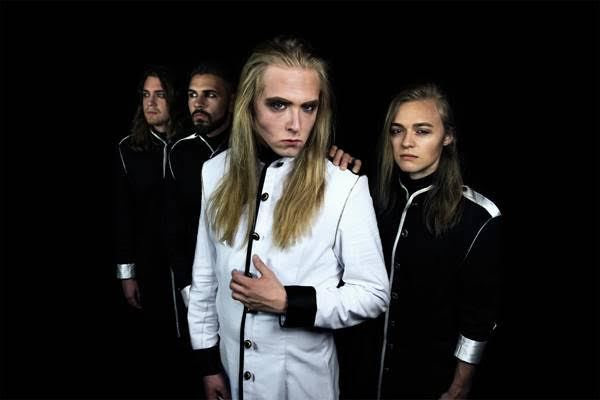 Swedish rock/metal band, CHRONUS, have announced the US release of their self-titled debut album, due out on July 13th, 2018 via EMP LABEL GROUP, the label of legendary Megadeth bassist David Ellefson. 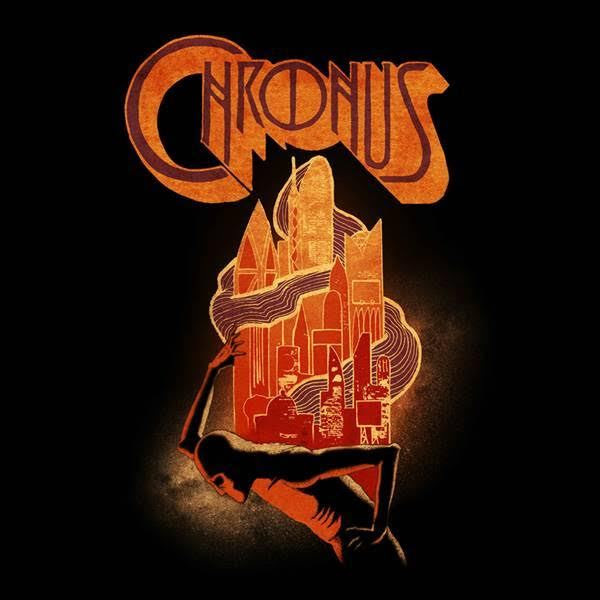 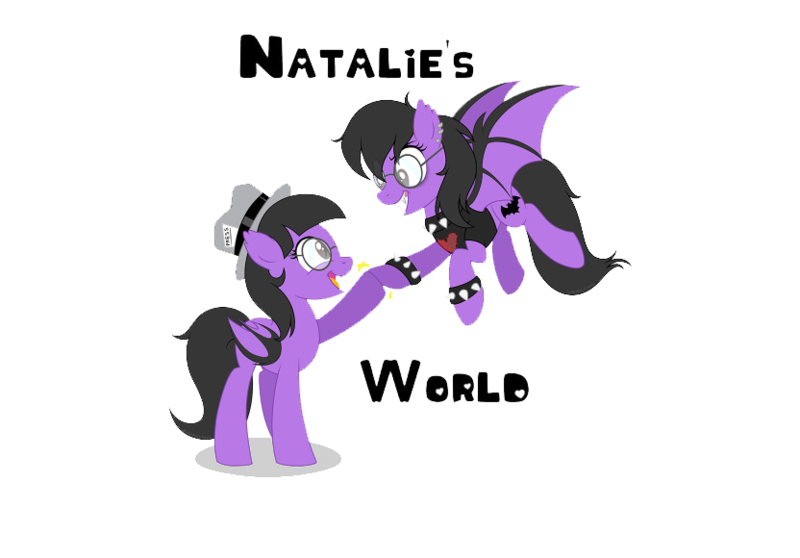 Check out the album's artwork and tracklisting below. 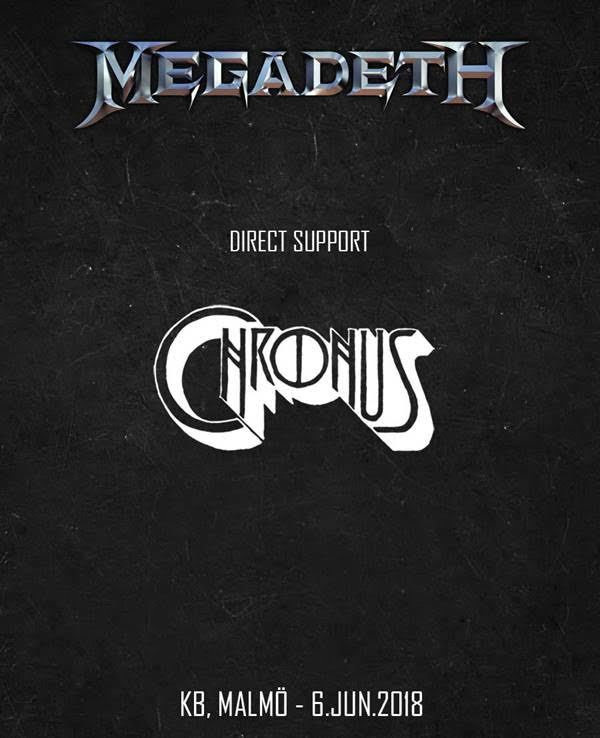 CHRONUS will be performing as direct support for MEGADETH on June 6th, 2018 at KB in Malmö, Sweden.